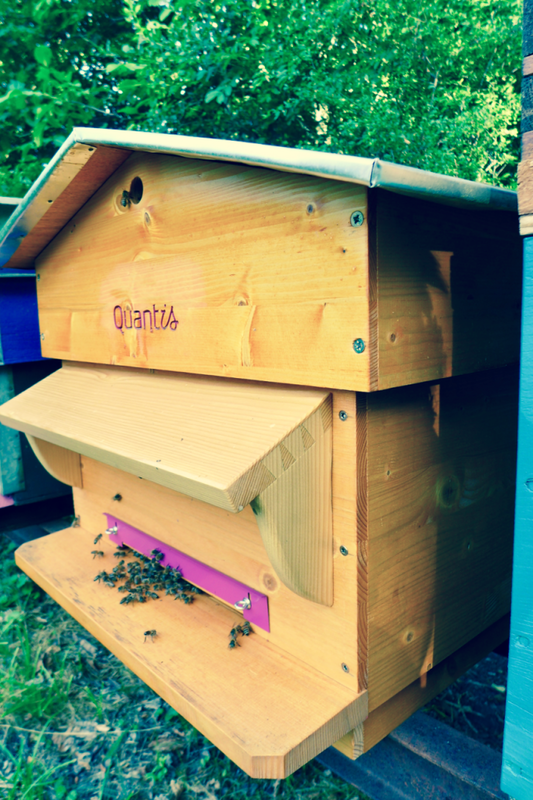 Quantis Lausanne proudly supports Mellifera’s honey-making activities by sponsoring a beehive near their office. This non-profit secured the Bio Suisse label, which speaks to the quality of their organic approach. Their work to raise public awareness on pollinators and protect the environment indeed resonated with our own commitment to sustainability. "It was important for our clients we offer honey products that had been improved throughout their entire life cycle. Quantis shared expertise that has supported and motivated us to optimize the environmental footprint of our honey and make sure it’s not only tasty but also sustainable!" Bicycling rather than driving to carry out bee-care activities and deliveries allows Mellifera to reduce its footprint by 47%. In 2016, around 25% of its jars were returned, washed and re-introduced into the distribution cycle. Permanent screen-printed jars facilitate this process and further enhance Mellifera’s environmental performance by 8%. Finally, solar panels were installed to power the honey extraction equipment. MELLIFERA teamed up with various other non-profits and foundations to organize workshops around beekeeping for schools and other public institutions. Our partners at Valuing Nature estimated these pollination and educational activities have a positive societal value of about 60 CHF per jar. Learn more about Quantis’ work with Mellifera by visiting their website, or connect with our very own beekeeping enthusiast, Lindsay Lessard.